Please click here for our Rates and Billing Information. Sell calling cards pins or pinless calling cards. Recharge your balance using phone line with a credit card on file. Requires bank merchant processor that supports recurring payments. Using the IVR, users can automatically recharge calling card using vouchers or credit card and can register their numbers for pinless without accessing their online web portal. Portuguese, Russian, Spanish and Swedish. Please contact Support for latest Language Updates. 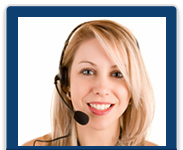 Custom IVR language programming is available at additional cost.